A hybrid space that mixes office, showroom, café, co-working and event space in One, Menu Space required a chair that could suit a range of purposes. Finding a perfect balance between geometry and organic shapes, the shell’s armrests bend outwards for maximum support, as does its high backrest, providing not only comfort, but also an elegant and slim appearance that will appeal to any discerning design aficionado. Tehe is a variety of combination possibilities. 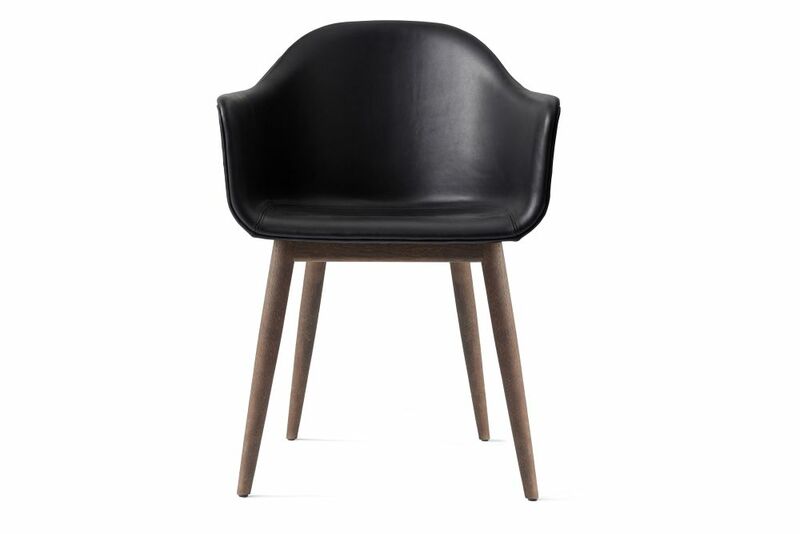 Available in 6 shell colours, leather or textile upholstery and 4 leg options. Designed for optimal comfort with good lumbar support.